Visit the Tower...be careful not to fall! The Pisa Sindrom: What a beauty! Walk along lungarnos and enjoy our river...but no dive! 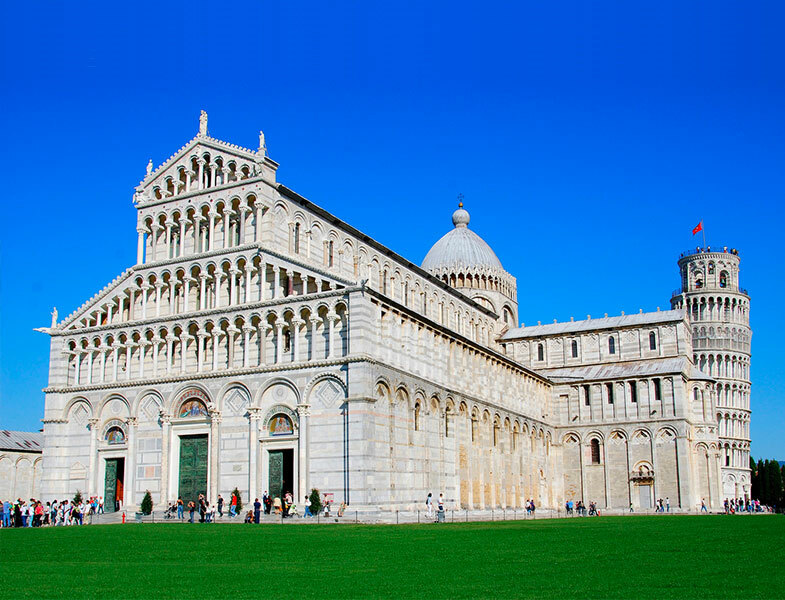 Discover Pisa with our private tours! 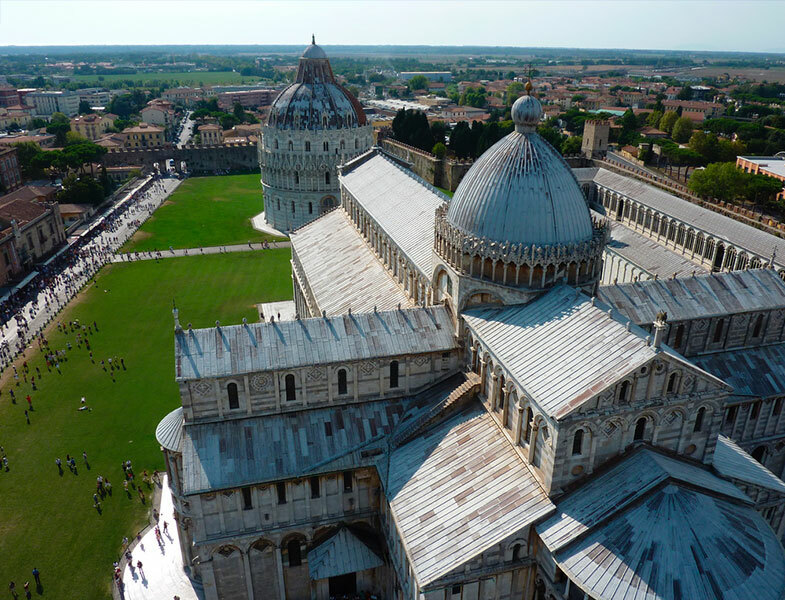 Useful information about how to get to Pisa, transfer services from and to the airport and local public transportation. 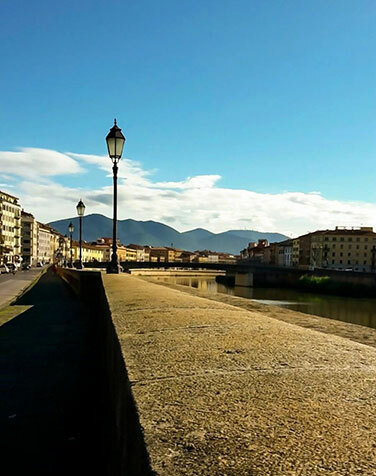 Arno is the river which crosses the whole city of Pisa, as well as Florence. Italians call "lungarno" those streets which pass beside the river bank. The lungarnos of Pisa, with splendid buildings and palaces that rise upon them together with romantic bridges represent some of the most famous and characteristic places of Pisa. Thanks to the central position of the river, lungarnos were convenient for the edification of hotels. Their centered location make these hotels an ideal place to stay for tourists that come to visit Pisa. You should definitely try Pisa's tasty ice-cream or the local sweets that you can find in the fantastic cake shops situated on the lungarnos. 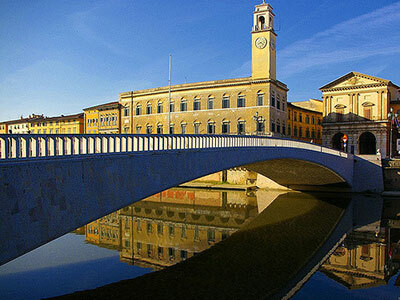 Pisa hosts one of the oldest universities in Europe, considered as one of the most prestigious in Italy. 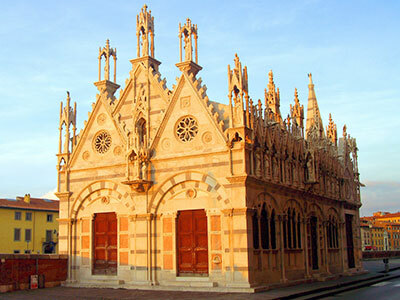 Offering courses in Science and Humanistic fields, the university of Pisa attracts students from Italy and all over the world. How many leaning towers are there in Pisa? Where is the last Keith Haring mural?